I don’t even know how this whole Asia trip started, to be honest. I suppose every “travel hungry, mid-20s, career-starting, in-the-midst-of-paying-off-student-loans” individual desires to travel for cheap! And that’s what Southeast Asia is: cheap like borscht! (I had to include a Ukrainian reference eventually). Anyways, my best friend borrowed me a book a few months back and it was all about elephants and how emotional and human-like they actually are. I fell in love with them and the idea of being near a group of pachyderms (I know… it’s a big word I learned in the book). So one thing led to another and the next thing I knew, I was planning a trip to Thailand. Solo female travel is becoming more and more popular these days. I considered going alone and backpacking Thailand, but I am a lonely baby! I have so much respect for ladies (and men) who can travel alone, I work with many strong women who have done it themselves. I couldn’t do it though. I’m the type of person who needs someone there with me to talk to and adventure with. Also, safety is a huge thing; it’s my first time going overseas to explore a foreign country… being on a Mexican/Jamaican resort doesn’t count. Many of my friends that I would go to Thailand with are unable to leave work for more than a week of vacation time, are starting new careers or do not have the money for a 3 week trip at the moment- totally fair. They are the smart ones saving money!! I mentioned to my Dad in a random conversation that I was looking into travelling to Thailand…his response- I’m in! What! Of course I will go with my Daddy! I love my dad so much. We get along really well and travel great together. 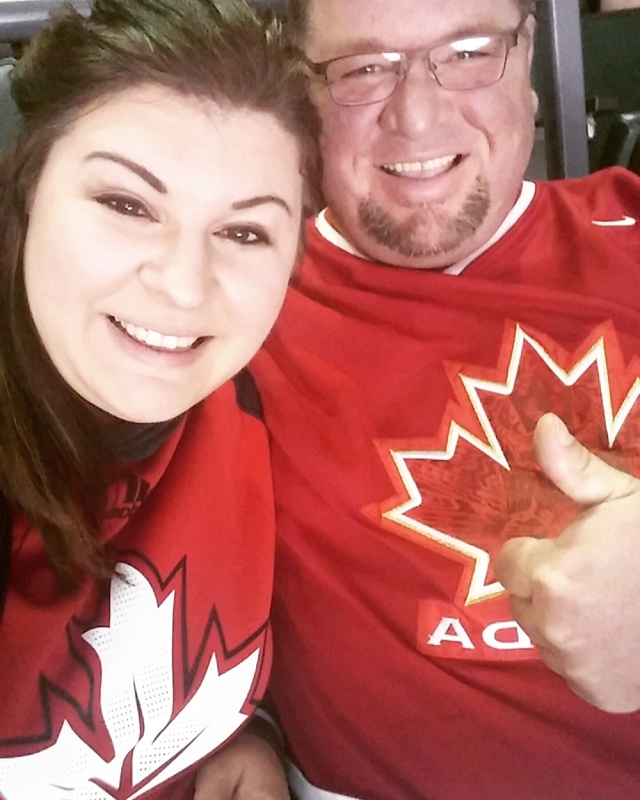 We went to Toronto this past September for the World Cup of Hockey and had the hockey trip of a lifetime. So good. Thailand is going to be the ultimate father daughter trip of a lifetime. Fast forward a month or so and my vacation time is booked and approved… the entire 3 weeks has been tentatively planned out, a detailed itinerary is typed out in a Word doc emailed to father dearest (including prices for everything) and we are now including Vietnam and Cambodia into our adventures. I have it all planned out. We just have to book our round trip flights (most likely in July), buy some big fancy backpacks, exchange our loonies for Baht, and we are on our way! Okay so it’s a lot more work still but at least things are in motion! Follow along if you wish! If not, that’s ok. I realize I am not an amazing writer but I am excited to have this blog to look back on and remember all of the memories we will make! Awesome! I can’t wait to read all of your adventures. Sounds like it will be the best trip ever!! Daddy and daughter… how awesome!